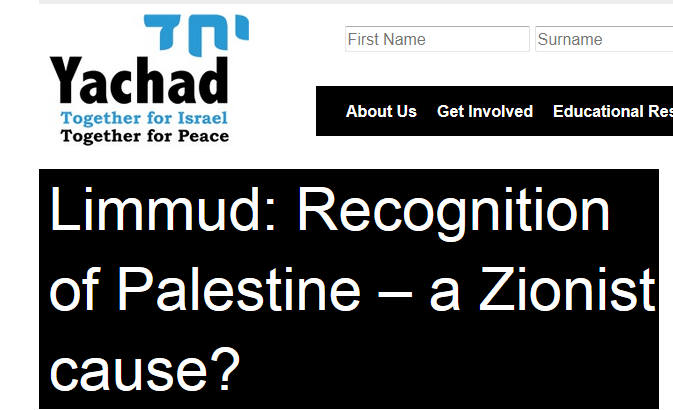 On 29/12/2015 I travelled to Birmingham to participate in a panel at the ‘Limmud’ conference. Being a writer rather than a speaker, being given control of a microphone wasn’t something I was particularly looking forward to, yet having seen the list of talks, some of which appeared interesting, I had decided to stay for a couple of days and engage a little. I arrived at 11:00, by 14:50 I was on my way home. At least now I understand why Israel is losing the battle on campus. In 1967 Israel engaged in a defensive war that was to change entirely the political make-up of the nation. Today an entire spectrum of opinion in Israel exists, ranging from those that believe every inch captured in 1967 should remain with Israel, to those that believe every inch should be returned to Arab hands. Within this spectrum is a fluid majority, willing perhaps to find a compromise, but doubting to different extents that the political reality for such compromise exists. Whilst the Zionists created mythology on top of underlying historical truths, the anti-Zionist camp have done the opposite. Wherever possible, malicious intent supplants cause and effect and their narrative manipulates and intentionally distorts historical fact. When challenged, the anti-Zionist tale unravels the way most conspiracy theories do, and to sustain itself it exists in a perpetual cycle of denial. The non-Zionist political narrative avoids debate or shouts down opposition because it must. The people pushing anti-Zionism in our universities are split into several camps. The Arabs who are pushing a narrative fed to them since birth, left wing radicals, ‘universalists’, who believe in open borders and are anti-nationalist by default and a well-intentioned group who have swallowed a false narrative that uses messages of peace and humanity as a disguise. Then of course there are antisemites, people who feed off stories of Jewish power and are drawn to anti-Israeli activity like moths to an artificial light. The other group worthy of note, perhaps the most inexplicable and note-worthy of them all, is one that is placed at the front of every anti-Zionist movement as a figurehead, the anti-Zionist Jew. So as I sat on a panel intending to discuss how these Jewish led anti-Zionist forces now control sections of the campus, I lost heart as the pointless politics kept flowing across the stage. It became clear to me that each participant, rather than discuss the problem, intended to focus on unrelated issues they each felt more at home with. I was the last to speak and the first to mention ‘academia’. As the question and answer section developed, one of the questions came from someone who declared they were a ‘Yachad activist’, then following this, the youngest of the speakers proceeded to proudly tell those in the hall that she is firmly on the ‘left’ and suggested that to strengthen our children’s ‘Zionist’ education they need to be introduced to groups like ‘Breaking the Silence’. I considered walking off the stage, today I am sorry that I didn’t. As someone who would not have agreed to participate in an advert for groups that aid BDS, the event certainly left me thoroughly deflated at the time. 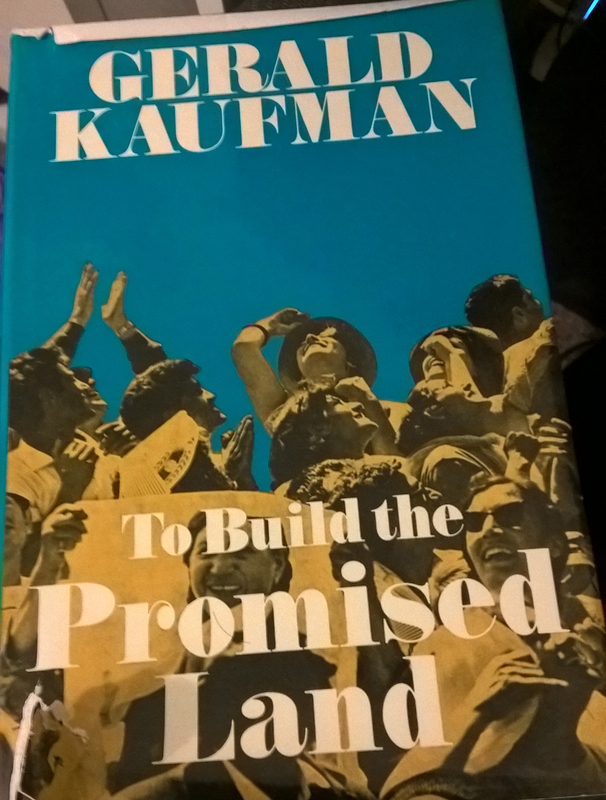 “In her first decades, Israel’s achievements had been disappointing only to her own perfectionists” – Kaufman, To Build the Promised Land, 1973 (pp241). Having read his 1973 book, if I now had to label Kaufman, I would call him a ‘self-hating Zionist’, a peculiar product of a unique set of events. Kaufman was born into an era of growing right wing nationalism, when antisemitism could be encountered quite openly in the UK, the Nazi menace was growing in strength and in a far off land, Jewish people, Zionists were rebuilding the National home. There was a tin on the mantelpiece in the Kaufman home, to collect money for those building the Zionist dream. Zionism to these people was to be a flawless, socialist, Eden, that would shine its humanity into the dark recesses of its barbaric neighbourhood. With an imaginary land of impossible being in his head, Israel could never live up to such standards. If one draws a line between Kaufman of 1973 and Kaufman of 2015, the change becomes logical, almost predictable. Despite Kaufman’s ‘Zionism’, Kaufman never allowed Israel actual existence and his relationship with the state was doomed to failure. Kaufman’s Zionism was a theoretical construct, but Kaufman is not alone. The young student who sat with me on the panel has the same basic problem. However much she may maintain she has deep support for Israel, the truth is she doesn’t support it in practice at all. Kaufman today is an anti-Zionist, the other simply places herself ‘on the left’, but the difference between them is almost non-existent – as Israel is at the moment, for both of them it has no right to exist. Zionism is Jewish nationalism and as a movement 100 years ago it succeeded in gaining enough political support to begin a journey that would lead to the creation of Israel. Born from a civil war in the British Mandate of Palestine, Israel is the fruit of the Zionist project. Given the variables of location, timing and demographics, Israel is how Jewish nationalism expresses itself. It exists in a difficult neighbourhood, and its original Ashkenazi dominated population was diluted with massive Jewish refugee immigration from nations such as Egypt, Morocco, Iraq, Ethiopia & Yemen. As generations passed and Israelis became a people in their own right, Israel became a true state of the Middle East. Looking at Israelis born today, these are people born into a thriving and successful democratic Jewish homeland in the heart of a region that knows no freedom outside of Israel’s borders. A truly incredible achievement. Israel has always sought peace. As a nation that works on the same democratic and economic principles as most nations in the West, it does not benefit by conflict. As its neighbours seek conflict to deflect attention from their perpetual failings, Israel wants stability and peace. All the revisionist tales that depict Israel as the aggressor are illogical positions that cannot provide a single example from all of global human history to support such a notion. Nations such as Israel seek peace not war. ‘Aggressive Israel’ is a fable born out of desperation. In the 1970’s Israel traded Sinai for the peace treaty with Egypt and in the 1990’s it sought to solve the unsolvable by making moves towards a long term settlement with the Palestinians, the descendants of those people that lost the 1948/9 civil conflict. It was in this process, the Oslo process, that the left/right struggle over the possible final status deals came to dominate Israeli politics. Late September 2000, the Arab camp used Ariel Sharon’s visit to Temple Mount as an excuse to launch the 2nd intifada. It is true that both camps had not been strictly faithful to the Oslo accords, true too that both camps had elements that sought to bring about the end of negotiations. But the underlying assumption that a two state solution was the fundamental ‘end-game’ for both sides was torn apart by the Arab violence during the 2nd intifada. Whether Arafat ever intended to sign on any dotted line is a matter for debate, but as the Israelis began to pay such a high price for having been deceived, the central body of the left wing peace camp fell apart. The second intifada saw the end of the traditional strength of the Labour party in Israel. The vast majority of Israelis place themselves at every election somewhere around the centre, willing to negotiate, but just as in the 1990’s, concerned to different degrees about the brutal realities of the region in which they live. There is currently a vicious myth sold by Israel’s enemies (anti-Zionists, those on the far left and an international community who find this myth comfortable for their own political situations) that Israel has never been so extreme. It is a barefaced lie. In many ways the Alignment (left wing block) platform of the early 1970’s reads like a modern Likud document. The Likud platform of 1977 reads further right than the platform of ‘Zionist Home today. In 1988 the right wing Moledet party ran on a policy of transfer. These are historically verifiable facts. If anything, there was a fundamental shift to the left during the 1990’s that has not been reversed. Those pushing the ‘extremist’ myth today are spreading vicious propaganda that unfairly damages the international image of Israel. This includes almost all of the contemporary non Israeli left wing movements who declare they are Zionist, such as Yachad in the UK and J Street in the US. When Israel officially recognised the Palestinians and Fatah as their representatives, the political earth in Israel shifted left. To pretend otherwise is deceitful. What is true is that the void created by the collapse of the labour party has not and cannot be filled until such time as the general population of Israel witness movement within Palestinian society that presents an opportunity for resurrecting the lost hope of the traditional Israeli left. As it stands, with international movements such as BDS pushing insane notions of Israel being a pariah state, with the Hamas/Fatah split signalling any negotiations could be decades away, and with Islamic forces gathering in Lebanon, Syria and Egypt, Israelis look around and see only storm clouds of further conflict on the horizon. This is a true reflection of the feeling of the vast majority of the Jewish Israeli electorate. The factual evidence for such a statement can be provided through the results of the Israeli democratic electoral process in 2001, 2003, 2005, 2009, 2013 & 2015. Which brings us to the extreme left of Israel. In every election, Zionist parties to the left of Labour receive very few votes. As an internal political force they are the equivalent of a party such as the Greens in the UK or a vague independent candidate in the US. They are irrelevant in number, and their ideas, positions and politics do not represent any sizeable part of the Israeli population. 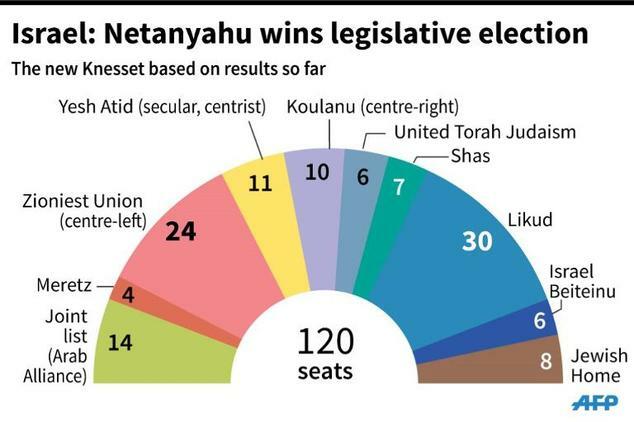 As a democracy, their opinion in Israel is as valid in theory as any other, but also as a democracy its relevance should reflect that of its proportional share of the national vote. Or in other words, this group, despite their protestations, are exposed as a tiny minority at every single election that is held. To dispute this is pointless. And that is where the matter would end, if it were not for Israel’s enemies. Dave Sewell is a journalist at the Socialist Worker, like 100’s of similar writers on the far left globally, it is unlikely you would have heard of him. Major media outlets like Sky or the BBC, are not lining up to suggest his views are representative of UK opinion and his articles receive few if any shares on social media. Very few would suggest his work is a picture of the ‘truth’. CrimethInc is an anarchist’s collective in the US, until I googled for an example for this article, I hadn’t even heard of them. Every nation has its >5% on the fringes, sitting in the shadows, believing it is part of an elite group that possess a vision that the world should share. They are almost invariably ignored. Ignored that is, unless that >5% is Israeli. Gideon Levy’s articles are shared worldwide, as are the writings of Amira Hass. 972 Mag is an online reservoir of information for groups such as BDS who seek to both demonize and de-legitimize Israel. This insignificant group in Israel are transformed into virtual celebrities through the simple fact that Israel have enemies that will both provide them with a platform and fund them. They receive invitations to speak all over the globe. *Any group*, however unrepresentative can become far more than the sum of their parts when money is fed towards their cause. This is exactly what is happening with the Israeli extreme left, an anti-democratic bubble utilized by those who seek to undermine Israel’s government. Ask yourself this, if there were a group of British or US soldiers ‘breaking their silence’, who would fund them? How would the British Army react to soldiers breaking the Armed Forces Act 2006? Would they be allowed into British schools? Would they also receive an international audience? “This is a war on Liberty by the extremists currently in charge in Israel”. When pressed on his source, he responded that ‘he went on a trip to Hebron’ to witness the ‘atrocities’. A trip no doubt that was designed to ‘enlighten him’ put together by the British activist group called Yachad. This man is not a Zionist. He may think he is, but he considers Israel an extremist state that kills women and children. His Zionism is on a theoretical level. He may believe in Jewish nationalism, yet he doesn’t support the only instance of Jewish nationalism that exists. Rather he is active against it. For him, Israel’s right to exist is conditional on his political approval. He does not live there, he does not know the reality of being Israeli, he is not in Sderot facing Hamas or Jerusalem facing knives or living on the northern border. Instead he takes an elitist approach by arrogantly declaring, from the safety of his home in London, that if he was Israeli, if he had experienced what Israelis have experienced, he would vote in a manner differently from the way that they do. From the point of view of the Israelis they see no difference between an anti-Zionist and an extreme left wing Zionist who stands in front of Jews in a conference and tries to discuss whether it is ‘Zionist to recognise Palestine’. This isn’t Zionism, it is anti-Zionism. That in theory, these people would support a Zionist enterprise if it were politically aligned with the radical left is irrelevant. Israel’s experience is driving it through a different path, therefore these people actively work against the will of the vast majority of Israelis who live there. The anti-Zionist platform (pre 1949 politics) is fundamentally flawed. The Arab rejection of Jewish immigration was both incessant and extremely violent. It led to civil war, and the opportunities to create an Arab state alongside a Jewish one were historically recorded, and categorically rejected, in 1936, 1947, 1948 and again, in a continuous period between 1949 and 1967. Extreme left wing Zionism faces the same fundamental flaws. This is why as a movement it almost doesn’t exist in Israel. People who live there, people who have real experience on the issues, *in the vast majority* think very differently. It is no coincidence that most extreme left wing ‘Zionists’ *do not live under direct threat of Arab attack*. No coincidence either that if their ideas were tried and failed, they themselves would not pay the consequences. Therefore, both Zionist-extreme left and non-Zionist politics are forced to distort the underlying truth beyond recognition to make a case. It takes a rather twisted ethical summersault to actually ‘switch’ from a side that despite its flaws, represents reality, to a side that have invented a story to excuse the clear evidence their own actions created and perpetuate the conflict. I attend many anti-Israel events, far more in fact that I do pro-Israeli ones. It is currently my main area of research. In the past few months I sat in a High Court in London, watching University of Southampton Professor Oren Ben-Dor attempt to stop his anti-Zionist conference from being cancelled. I was there when Max Blumenthal, pushing sales for his book on the 2014 Gaza conflict, suggested that Israel kills children for profit. I have seen Illan Pappe, on several occasions, discard public Palestinian opinion as irrelevant as he pushes his pet BDS platform as being in their best interests, and I was present and recorded MP Gerald Kaufman infer that ‘Jewish Money’ buys British political blindness so Israel can get away with executing random Palestinians. Remember this is the same Gerald Kaufman who in 1973 suggested criticism of Israel was undeserved. BDS itself, though presented as a call from within Palestinian society in 2005, was born in South Africa in the UN anti-racism conference in Durban in 2001. The academic boycott surfaced publicly in England less than a year later on 6 April 2002, in an open letter to The Guardian. The letter was initiated by professor Steven Rose and his wife Hilary who is also an academic. Only later did the international activists tell the Palestinians to make the call to galvanize the cause. The academic boycott of Israel that we see across our universities, was started by a Jew. As can be seen from the exchange, Marsha Levine is Jewish. 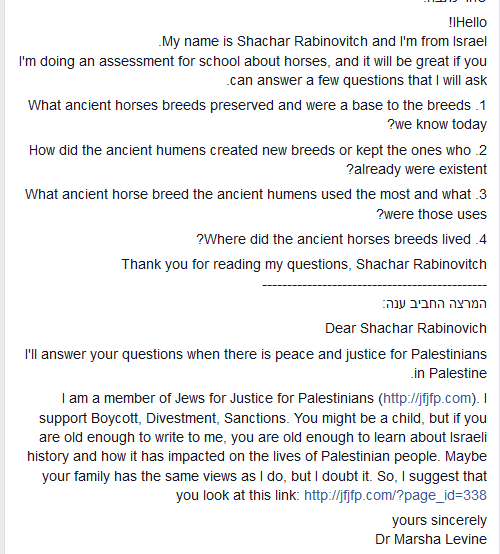 Not for her the half-hearted measures of the institutional boycott, Levine wishes to punish a 13-year-old schoolgirl because of her nationality. Levine’s reasoning – “the Jews have become the Nazis”. At the event, as I sat on the panel, all the other speakers agreed that an academic boycott, as such, does not exist in the UK. They clearly haven’t spoken to Israeli academics. It isn’t about those who add their names to petitions, it is about organisations and people who might even agree with Israel but do not want to face the hostile activists and so avoid Israeli contact and do not publish Israeli papers. It is a boycott of cowardice that bows down before a few bully boys. How can Israel be defended by those who cannot see the army at the borders? Oddities like Gilad Atzmon aside, most of those Jews lining up as Jewish anti-Zionists or extreme left Zionists made their career and their money on the back of their obsession. These people are what I describe as ‘opportunistic haters’, people who have little importance or standing outside of the value of their venom. If they didn’t hate Israel, if the Islamic crowd were not in need of Jewish cover, these people would be nobodies, adrift from society, trying to sell sub-standard worthless opinions to a disinterested marketplace. Only with Israel, because of the conflict, they are used as a cover for pure Israel hatred, helping antisemites hide behind extreme left wing Zionism and legitimizing an attack that without them would not be allowed to develop. For it is true that the pro-Arab camp would look very different if they were not hiding behind these Jewish activists. It is even doubtful the pro-Palestinian groups would have made serious headway in the university campus, unable to withstand the accusations of antisemitism, if they did not have a Jew by their side. It is the primary reason the Jews are used. This isn’t about criticism. No doubt, as has been done before, it will be argued that I am suggesting criticism of Israel isn’t legitimate. This is a weak argument. Nobody is pretending Israel is perfect. For example, I believe that the world is a far better place with the United States and I fully support it. It does not mean I believe in everything it does, like every president, or visibly support every action. The US is a democracy that bends to the will of its electorate. As soon as I pick up a banner, and become an activist, that in any way, undermines the democratic choice of the American people, I am no longer a supporter of the US. I am in fact now an enemy. So too with Zionism. If you are a Zionist but do not support Israel, your Zionism is theoretical. You may believe in a Jewish nationalism but are unwilling to support the product of such a nationalism. Israel will always have flaws. So what is one to do if they disagree with how Zionism is playing out? Personally I’d say go to Specsavers, but if they are of the mind that Israel has it wrong and true left ideals are the only way, then they are free to pack their bags and go to Israel to help the Zionist project. If as they believe the majority of the Jews in the US and Europe are of the same mind, then wouldn’t the answer be for all those Jews to go to Israel, and turn Israel into their own Zionist dream? That however they are not willing to do, they let other Jews live under the threat of war, whilst they actively undermine them. We are left with people who live safely in nations such as the UK and US, working against the democratic choice of another nation. Argue it how you like, it doesn’t sound very democratic to me. How would the citizens of the US or UK feel about movements that undermine their national governments and yet exist *outside* of the democratic process? The movements in Israel have failed because they did not work, and were shown to be wrong. But financed from abroad, these visions exported the fight into the US and Europe and left wing idealists have picked up the cause. Far away from any danger and far away from Israeli voters. At least let it be known that not a single one of these people have a right to suggest they believe in democracy. These are anti-democratic activities. It cannot be said often enough or strongly enough that Israel is at war. Not a theoretical ‘cold war’ but a real battle, a battle that they cannot afford to lose. Israel is only there today because the IDF is strong. Can you imagine if Israel was protected by extreme left wing ‘Zionists’? This is why Israel has lost campus, because its international diplomatic corp – the Zionists- have been duped into giving platforms and status to people who do not like the Zionist state. How do you defend something you don’t like very much? When someone from one of these left wing groups argues against BDS, how can they win? The position they put forward doesn’t even exist beyond a dreamlike theory of a Middle East that is disintegrating before Islamic radicalism as I write. Remember, almost every one of these people would have wanted Israel to give up the Golan in the 1990’s. Today, had they been given their wish, ISIS would be on the shores of the Kinneret. Limmud was overrun by ‘theoretical Zionists’. On every platform, people who represent a tiny minority in Israel were given massive coverage. Activists roamed the halls trying to persuade others to follow their vision. This isn’t Zionism, it is the demise of Zionism in the UK. Israel is only your state if you make it your state. Pack your bags and work to change it from within. If, as seems the case, you choose merely to criticise, not to build, not to plant, not to donate, but rather to work from the outside against the democratic forces that exist there, then it is not your state at all. Indeed, you have set yourself up in opposition. You are an anti-Zionist or a theoretical Zionist at best. Either way it makes little difference, as Kaufman has shown, they end up being one and the same. What arrogance to sit in the comfort of the US or Europe and decide from afar what is best for a people who truly know the price of war. Being Jewish doesn’t give these groups any additional validity. If Israel was to follow or be pressured (as seems to be Yachad’s wish) into making massive territorial compromise within the current environment, what would Yachad activists do if it crumbled? When the rockets started to fly, who would be there to fight for the state – these activists certainly wouldn’t. The world these activists live in is built on a load of theoretical poppycock. Just like their Zionism.